Ron Binz Nominated to Become FERC Chairman June 27 – President Obama announced that Ron Binz has been nominated to become a Commissioner and the next Chairman of the Federal Energy Regulatory Commission. FERC Delays Implementation of New BES Definition June 13 – FERC issued an order granting NERC’s motion for an extension of time, from July 1, 2013 to July 1, 2014, of the effective date to implement the revised definition of bulk electric system (BES). NERC’s motion to extend the effective date asserted that without an extension of time, changes directed by FERC in Order Nos. 773 and 773-A would not be implemented when the BES definition took effect. Significantly for distribution utilities, the order also held that entities seeking to petition FERC for rulings that their facilities are used in local distribution (and therefore beyond the scope of FERC and NERC jurisdiction under Section 215 of the Federal Power Act) must wait until the BES definition takes effect to request such rulings from FERC. Requests for rehearing of the order are due by July 15, 2013. FERC Proposes Retirement of 34 Reliability Requirements and 41 Outstanding Reliability DirectivesJune 20 – FERC is proposing to retire 34 Requirements in existing Reliability Standards that it believes are no longer necessary to ensure the reliability of the Bulk Power System. The majority of the Requirements FERC proposes to retire are contained in existing Critical Infrastructure Protection (CIP) Cybersecurity Standards and the Facilities Design, Connections, and Maintenance (FAC) Standards. The outdated Requirements were identified in a NERC petition filed February 28, 2013. FERC also proposes to retire 41 outstanding FERC directives that are now out-of-date or otherwise unnecessary. FERC Approves Event Reporting Reliability Standard June 20 – At its monthly Commission meeting, FERC approved Reliability Standard EOP-004-2 that was submitted by NERC early this year. This standard addresses the types and thresholds for reporting of certain types of events to NERC, as well as requires entities to have an operating plan for reporting of events. The approved standard merges EOP-004-1 and CIP-001-2a, which NERC stated will aid reliability through a comprehensive approach to the reporting of disturbances and events that have a potential impact on reliability. A number of industry participants submitted comments opposing the approval of this standard. FERC Issues Declaratory Order Confirming WECC’s Ability to Fund Reliability Coordinator and WECC Interchange Tool Functions Upon Bifurcation June 20 – FERC, during its regular monthly meeting, issued a declaratory order confirming that, upon its proposed bifurcation, WECC can continue to fund its reliability coordinator and WECC Interchange Tool functions under Section 215 of the Federal Power Act. Further, FERC also confirmed that WECC will be able to exercise compliance and enforcement authority over “RC Company,” which will be WECC’s newly-created entity that will be responsible for providing reliability coordinator functions in the Western Interconnection. However, FERC also noted that a final determination on whether RC Company is sufficiently independent from WECC will be based upon final approval of the governing documents, which are still being developed. On June 27, the WECC board announced that it had approved bifurcation. The new Regional Entity and Reliability Coordination Company are expected to begin operating separately as of Jan. 1, 2014. FERC Approves Revisions to NERC Standard Processes Manual June 26 – FERC approved NERC's proposed changes to its standards drafting process. In addition to other process improvements, FERC approved NERC's proposal to add a new Section 16.0 that would allow it to waive the standards development process under specified circumstances and with notice to stakeholders. Industry Comments on FERC Proposal to Approve New Cybersecurity Reliability Standards June 24 – Numerous public and private entities filed comments in response to FERC’s April 18 proposal to approve modifications to the Critical Infrastructure Protection Cybersecurity Reliability Standards (CIP Version 5, FERC Docket No. RM13-5-000). Commenters generally agreed that CIP Version 5 will improve the reliability of the Bulk Electric System and should be approved. However, commenters disagreed over whether the Standards’ new “identify, assess, and correct” language will be auditable and enforceable. Among other things, NERC’s comments responded to FERC's concern that the obligation for regulated entities to "identify, assess and correct" deficiencies is overly vague, stating that this language is self-correcting and only prescribes how to implement more specific requirements. NERC also requested a technical conference to deal with additional issues. Commenters also disagreed over whether FERC should require a specified set of controls for low impact cyber security systems. FERC Posts Results of SERC Audit June 11 – FERC has posted the results of the SERC Reliability Corporation audit. FERC Issues Letter Orders Approving Interpretation, Standard, ROP Revisions – FERC issued letter orders (1) approving NERC’s April 12 interpretation of two Reliability Standards (TPL-003-0a – System Performance Following Loss of Two or More Bulk Electric System Elements and TPL-004-0 – System Performance Following Extreme Events Resulting in the Loss of Two or More Bulk Electric System Elements); (2) approving proposed Reliability Standard VAR-001-3 (voltage and Reactive Control) and the associated implementation plan, Violation Risk Factors (VRFs), Violation Severity Levels (VSLs), and retirement of VAR-001-2; and (3) approving certain NERC Rules of Procedure (ROP) revisions. FERC Grants NERC’s Request for Clarification of FERC’s Order on Interpretation of Reliability Standards June 25 – FERC issued an order for clarification of the March 21, 2013 Order on Interpretation of Reliability Standards in which FERC rejected NERC’s interpretation of Critical Infrastructure Protection (CIP) Reliability Standard CIP-002. In the Order, FERC indicated its agreement with NERC’s interpretation of the Order on Interpretation of Reliability Standards, noting that references to the NERC guidelines in the Order on Interpretation were included for illustrative purposes and did not form the basis for the remand. Comments on FERC’s Notice of Proposed Rulemaking Regarding Modifications to Four Existing Reliability Standards June 24 – NERC filed comments in response to FERC’s notice of proposed rulemaking to approve NERC’s modifications to Reliability Standards FAC-001-1, FAC-003-3, PRC-004-02.1a and PRC-005-1.1b. NERC sought to clarify the term “generator interconnection facility.” NERC indicated that generator interconnection facility refers to generator interconnection tie-lines and their associated facilities extending from the secondary side of a generator owner’s step-up transformer(s) to the point of interconnection with the host transmission owner. In very general terms, NERC responded to questions in the NOPR, describing its discretion to conduct individual assessments to determine whether additional Reliability Standards should apply for complex facilities. The Transmission Dependent Utility Systems (TDU Systems) filed comments supporting the proposed modifications and seeking clarification on three issues including the need to register as a Transmission Owner or Transmission Operator, the ability to de-register using NERC’s process or through FERC direction, and the need for NERC to tailor the assessment process. Alameda Municipal Power (AMP) filed comments noting that facilities that are not owned by either the owner or operator are not considered “generator interconnection facilities” under FERC’s understanding of the term. AMP urged FERC to consider a slight modification to its definition of the term and include non-owner or operator owned facilities in the “Applicability” section of the four Reliability Standards proposed to be modified. BP Wind Energy filed comments asking FERC to ensure that NERC’s proposed individual assessments are properly conducted and noting that the statement of registry criteria should be revised to make certain that entities are not improperly registered as transmission owners and/or transmission operators. 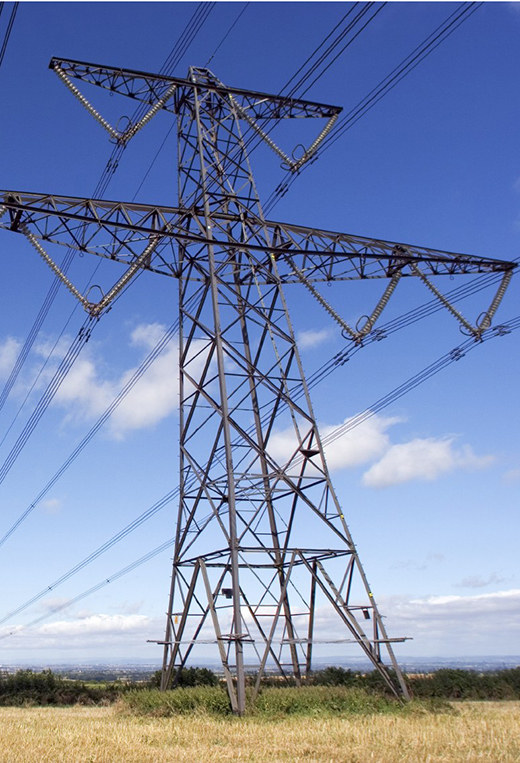 NERC Submits Comments on Transmission Planning Reliability Standards Proposed RulemakingJune 24 – FERC issued a Supplemental Notice of Proposed Rulemaking regarding Reliability Standard TPL-001-4 on May 16, 2013. In response, NERC submitted comments supporting FERC’s proposed action to approve the revised TPL-001-4. FERC Approves NERC Find, Fix & Track Compliance Filing June 20 – FERC accepted a NERC compliance filing in which NERC responded to seven specific questions about the effects of the Find, Fix & Track (FFT) program. NERC also proposed five “enhancements” to the FFT program, broadening the range of violations to which FFT applies. FERC accepted four of five, rejecting NERC’s proposal to no longer require senior officers to certify the remediation of Reliability problems. FERC Approves NERC Supplemental Information Filing for Violation Severity Levels June 24 – FERC approved changes and clarifications to NERC’s Violation Severity Levels and violation risk factors that NERC filed with FERC on Feb. 15, 2013. NERC Approves Amendments to MRO and Texas RE Delegation Agreements – NERC approved the Midwest Reliability Organization’s proposed amendments to its Reliability Standards Process Manual, and approved the Texas RE’s proposed amendments to its Bylaws. NERC Postings – NERC recently posted: (1) the second draft of its 2014 Business Plan and Budget, and a related announcement (comments due July 15, 2013); and (2) updates to its Regional Entity Audit Report Templates. NERC Issues a Status Update on BES Definition Process June 18 – NERC issued a status update on its BES Definition Process. The BES Notification and Exceptions Tool is targeted for completion in September and will be deployed for industry use and training in the first half of 2014. Energy Secretary Moniz Creates Cybersecurity Council Within DOE June 13 – Secretary of Energy Ernest Moniz announced at a Congressional hearing that he has ordered the creation of a cybersecurity council composed of representatives from the Department of Energy’s (DOE) electricity office, its intelligence division, the chief information officer and the National Nuclear Security Administration. The council will collaborate on a range of cybersecurity issues within DOE’s purview, from grid security and resilience to protection of national security secrets.